Should I purchase a rodeo chair? Rodeo wheelchairs can help the user improve posture and allows the user to recline and to sit up while having a clear line of sight. Convaid rodeo wheelchair have an upright backrest that allows a wheelchair user to sit comfortably while keeping a good posture. 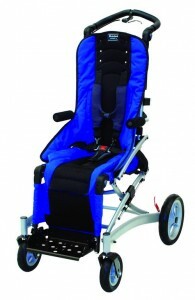 Upright wheelchairs provide an upright positioning for users with good trunk and upper body strength. The great thing about our light upright wheelchairs is that even though it has an upright back, it can be easily folded and stored into the trunk of a car or storage space. Some upright chairs have an adjustable backrest that allows the user to sit comfortably while being able to recline at the same time. Upright seating comes standard with Convaid rodeo wheelchair . This type of seating allows the user to sit up straight and is considered a specialty chair. Designed for extreme comfort and maximum durability, our light upright wheelchairs are on top of the food chain when it comes to specialty chairs. This type of chair is perfect for children, great for outdoor activities because it allows the user to sit upright and be able to have a clear line of sight. Convaid rodeo wheelchair are foldable and compact; they allow the user to sit upright and offers a clean line of sight while seated. The Convaid EZ Rider is a light, foldable upright chair that is specially built for children who require upright seating and backrest positioning. This model comes standard with adjustable components, such as flip up armrests, adjustable seat depth and adjustable footrests. You may need a Convaid Rodeo Wheelchair. Contact us for more information regarding our upright wheelchairs. We would like to hear from you! From questions about Karman products and services Karman Healthcare offers, to comments about our website or a just friendly greeting, this form allows you to directly get in contact with Karman Healthcare. Please do not include any sensitive or confidential information in this form. If your inquiry requires you to do so, please call us.